When seeking a foundation grant an important consideration is how well the goals of the foundation match your objectives. It's a good idea to look at a foundation's funding history to get a sense as to whether sending a proposal to the foundation is likely to obtain a response. Searching for foundation grants can be tedious and involves a tremendous amount of time and research. That's exactly why GrantWatch came into existence, to save you time and frustration and to maximize the likelihood of your finding the right foundation grant for your organization. 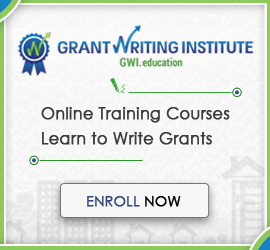 GrantWatch makes it significantly simpler by gathering information on foundation grants from foundations both large and small, organizing them and making them available here on the website. As a subscriber, you will also receive e-mail alerts so you don't miss out on grants that may suit your needs. When searching for a foundation grant be sure to take the foundation's political and/or social ideals into consideration. For example, if you are looking for funding to expand birth control services to a high school population, a Catholic foundation is not likely to give your proposal much consideration. A foundation that supports the Democratic Party is not likely to fund efforts to register Libertarian voters. Understanding the objectives of the foundation and studying its previous grant awards will help you focus your efforts on the foundations that are most likely to fit with your mission. During the process of researching foundation grants, one should also bear in mind deadlines for specific grants. Some foundation grants may be a perfect match, but the deadline may have passed. Some foundation grants have an open-ended application policy, where applications to the foundation can be submitted any time of the year. 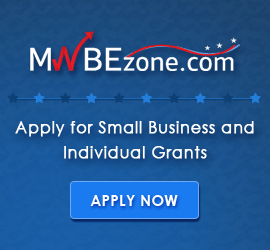 Foundation grants may also have very specific rules in terms of applications. You will need to follow the appropriate application procedures or you may lose out on grant funding. 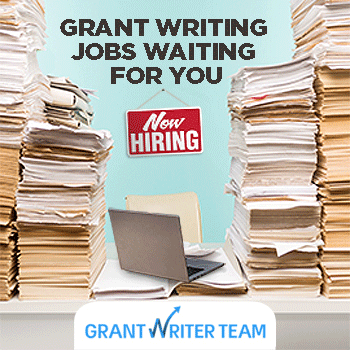 You may want to identify several possible grant sources and then ask a grant writer to complete the application process. You might want to research or contract with a grant writer to prepare a report about the foundation structure. Who are the board members? What is their background and interests? What kinds of grants have they previously funded? What is the dollar range of previous funding? The members of your board might want to outreach to a foundation board member and create a genuine interest and excitement about your program. Personal, respectful communication is helpful in securing corporate and foundation support. Step 1: Submission of a letter of inquiry. A letter of inquiry outlines the proposed project for which your organization seeks funding consideration. Letters of inquiry are often accepted online throughout the year. Once submitted, the foundation will review your letter. If you have created a spark of interest the foundation may request additional information about the proposed project to assess the project's fit with the foundation's current grant making priorities. The foundation may or may not invite you to submit a full proposal for competitive review by a Program Committee (based on your letter of inquiry). If you are invited to submit a full proposal it will typically be reviewed during a specific grant making cycle. There are often 2, 3 or 4 grant making cycles per year. Most foundations make grants available on a competitive basis. Funds are often sourced from "discretionary" or "fields of interest" funds which are often established by donors who rely on the experience and knowledge of experts to determine the best use of these funds. With competitive funds, foundations prioritize proposals based on their grant making strategy. Foundation grants can range from $500 to $1,000,000 or more. In some cases, the foundation may only be willing to make partial grant awards, requiring the grantee to secure additional funds from other sources. As a recipient of a foundation grant your nonprofit will be required to follow the terms of the grant agreement, including reporting and publicity requirements. Recipients of foundation grants are often required to submit reports. Reports may include an interim report and a final report during the lifecycle of the grant. Often grants of $10,000 or less will only require a final report. When you receive a grant from a foundation, you may be required to notify the media and the public. This gives increased public exposure to your organization, your project and the issues you seek to address. As part of the grant agreement, you may be "requested to acknowledge" the foundation in all media communications, public announcements (such as news releases) and printed materials (such as agency newsletters and annual reports) pertinent to the funded project. The credit line “Made possible [in part] by the xxxx Foundation” may be appropriate for your publications. In addition, the foundation may require a draft of a formal news release announcing the grant and describing the organization and funded project in detail. A list of the publications to which you will submit the news release should also be included along with the proposed news release. GrantWatch.com was developed in response to the need to bring more program dollars to Community Based Organizations. 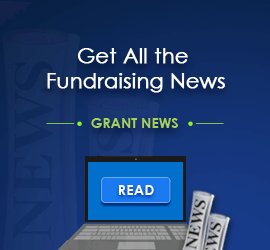 GrantWatch.com is the only website that provides a comprehensive listing of the most current funding opportunities: Federal, Foundation grants for nonprofits, for-profits, preschools, education, community, faith based organizations, universities, small businesses and government. As a successful grants writer, president of PGWHC, Inc. and a recent candidate for City Council, I know full well the importance of keeping Community-Based Organizations up to date. 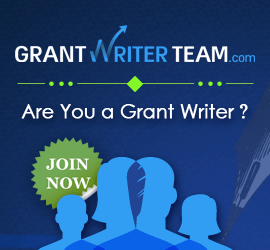 So enjoy your time with us at GrantWatch.com! Subscribe to our notification service and please send me your comments. Best of luck in your funding efforts.